Teddy Bear & cat. 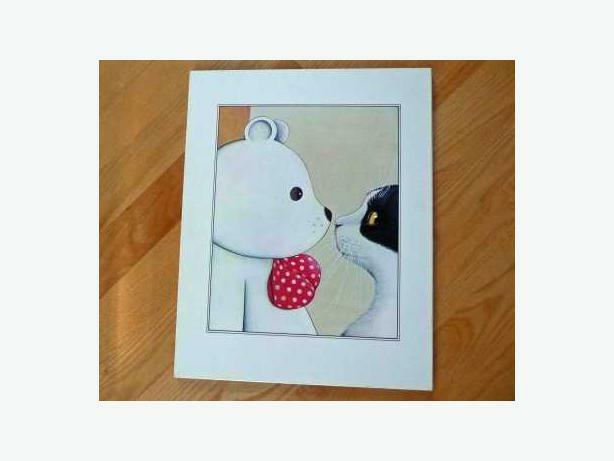 Measures 11" x 14"
Teddy Bear & Cat print. Professionally Plaque mounted on medium density fiberboard with painted (not taped) bevelled edges. This process gives a frameless appearance while preserving the colour and protecting the work. Measures 11" x 14" (28 cm x 36cm).